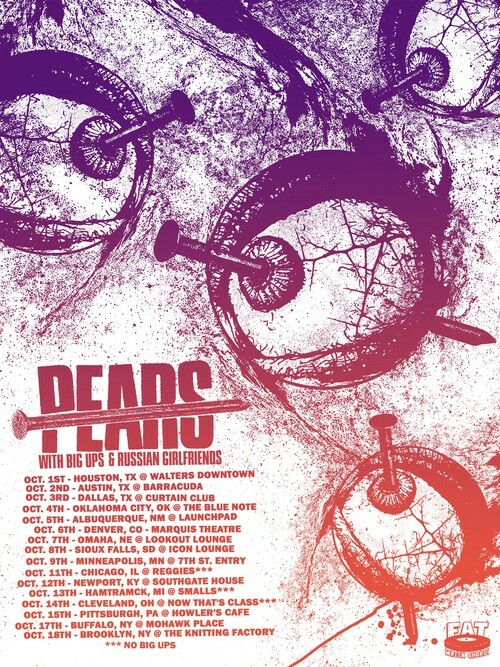 PEARS are hitting the road next month with Russian Girlfriends! This RX is just what the doctor ordered. With everything that is going on in the world, you need this…a cathartic release from the daily grind! PEARS will unhinge their split release, Human Movement, with Direct Hit on November 3rd. If you missed their song premiere for “Arduous Angel,” check it out here! Europe, hold tight: they’ll land on your shores with Rise Against on October 25th!